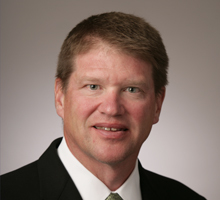 Mr. Stoelting is the Chief Executive Officer of Roadrunner Transportation Systems, Inc. (a transportation and logistics service provider), since May 2017, and was previously the President and Chief Operating Officer of Roadrunner from 2016–2017. Prior to that role, Mr. Stoelting served as the Chief Executive Officer and a director of TOMY International (formerly RC2 Corporation, a designer, producer, and marketer of products for infants and toddlers), from 2003–2013. Prior to that role, Mr. Stoelting served in several leadership roles at RC2 from 1994–2003, including as the Chief Operating Officer and a director beginning in 2000. Mr. Stoelting has a B.A. in Accounting from the University of Illinois and is a Certified Public Accountant. Mr. Stoelting serves as a director of Roadrunner Transportation Systems, Inc. Mr. Stoelting has been a director of Regal since 2005.